This past weekend (10/18), VEX Teams 254A, 254B, 254C, 254F, & 254E all competed at the DVHS VEX Tournament. Being the first tournament of the season, it was a great opportunity for our VEX teams to determine how their robots functioned during competition, and to test their strategies. Team 254A making last minute changes to their code.  With their single flywheel design, and a strong lift, team 254C was eventually invited to join the sixth seed alliance, with teams 824C and 5327B. 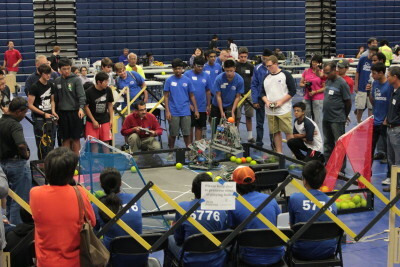 After several close matches during quarter-finals, narrowly won and moved on the semi-finals, where they were unfortunately defeated by teams 8000A, 8000D, and 5776Y. Congratulations to tournament winners, 5776T, 5369, & 5776. Team 254C lifting their alliance partner. Overall, our teams all had a lot of fun at the tournament, and learned a lot from other teams. 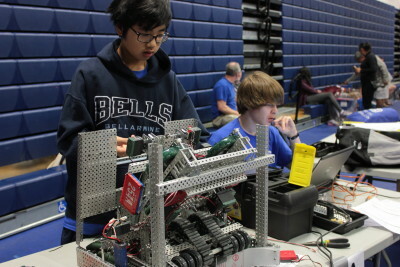 Several of our teams now have plans to work to improve their robots for the upcoming Bellarmine VEX Tournament.